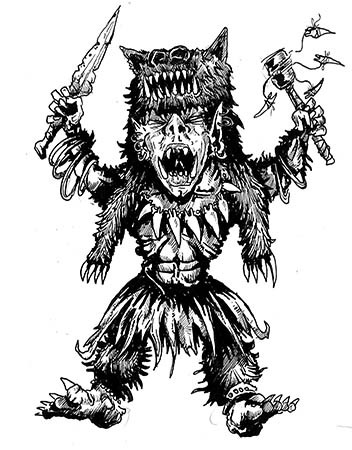 The goblin shaman was an early drawing for my creature encyclopedia. Goblins are great characters because there’s such a rich background to them. I’m veering towards the Steve Jackson/ Ian Livingstone interpretation here, though Brian Froud’s art for Labyrinth is a major inspiration for me – I’d strongly recommend the book ‘Goblins of the Labyrinth’, the artwork is just beautiful.